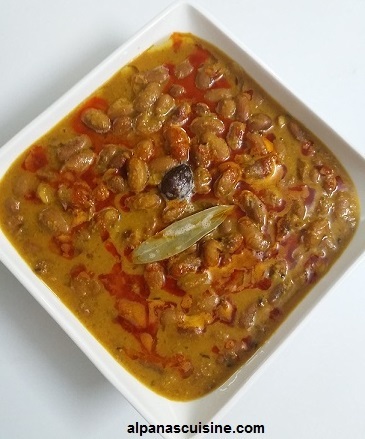 Rajma madra is a regional speciality of Himachal Pradesh.It is a famous Himachali dish, cooked in yogurt with pure ghee and few spices .I tasted this dish last year, when we visited to Kullu -Manali. 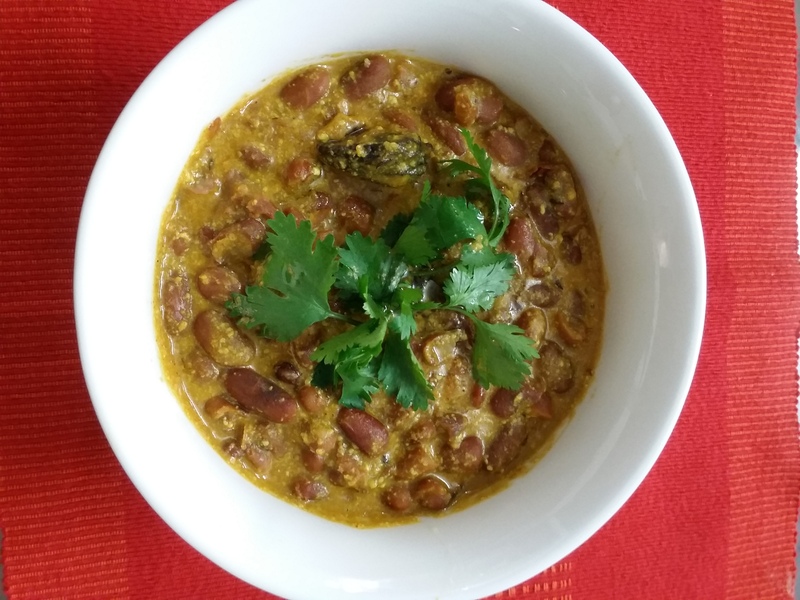 .We all liked it very much.Every person has somewhat different style of cooking it.But yogurt is the main ingredients in this recipe.I have tried his recipe at home based on method described by restaurant’s chef .Hope you will also enjoy & love this. Now take the heavy bottomed pan or kadhai.Heat 3 tablespoon of pure ghee and add all the whole spices with bay leaf,asafoetida.When starts spluttering turn off the flame. Then add beaten curd and stir continuously ,turn on the flame and continue to cook on medium flame.Keep stirring the yogurt continuously and let it boil.when the yogurt starts thickening ,keep cooking till it become little brown.